Please note: Crib and Bloom mattress sold separately. 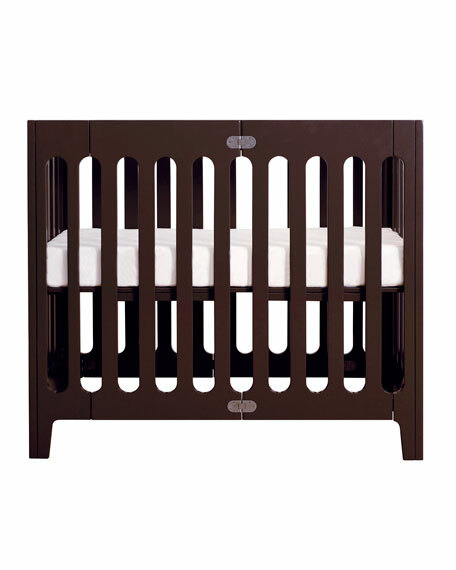 Due to its European design, the Alma Mini crib is not compatible with US standard sized crib mattresses and requires purchase of a Bloom custom mattress. Bloom Alma Mini folding crib/mini-bassinet is designed for urban spaces and grandparents/second homeall about style, mobility, and storage. 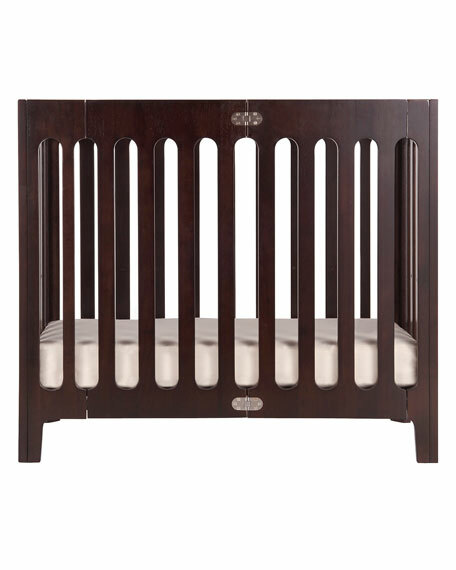 Solid wood mini-crib (American Birch) sized for urban living spaces. 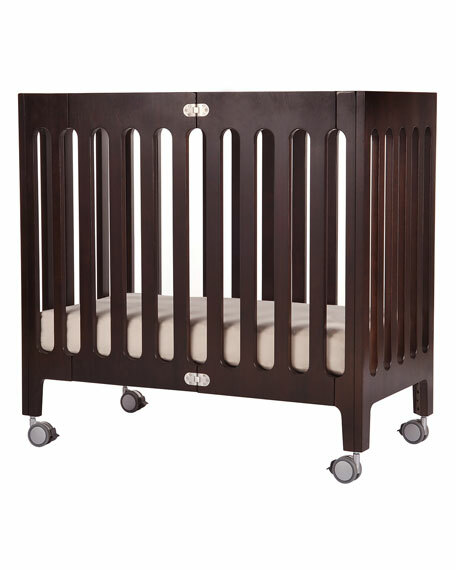 Bassinet with extended use as mini-crib, comfortably up to 12 months (longer usage depends on baby size). Sized for room-to-room mobility during nap time; fits easily through small and standard doorways. Patented no-tools required easy set up in under 5 minutes. Compact-fold construction for easy storage and transport. 2 position adjustable mattress platform for growing baby (custom mattress sold separately). Open slats on all four sides maximize all-important air-flow. 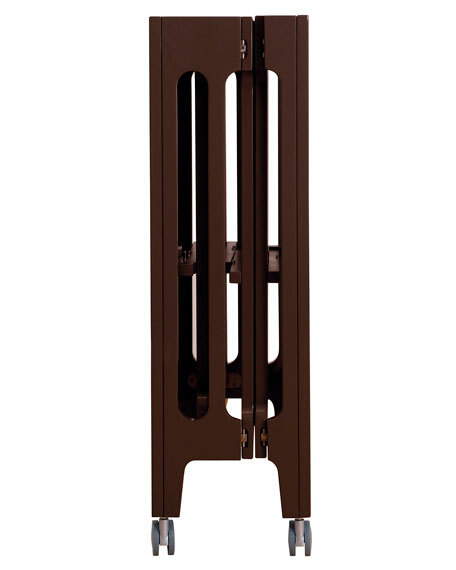 Dimensions: 94.4cm/37 1/4"L x 49.5cm/19 1/2"W x 84.1cm/33 1/8"H; 25cm/10"L folded. For in-store inquiries, use sku #225756.